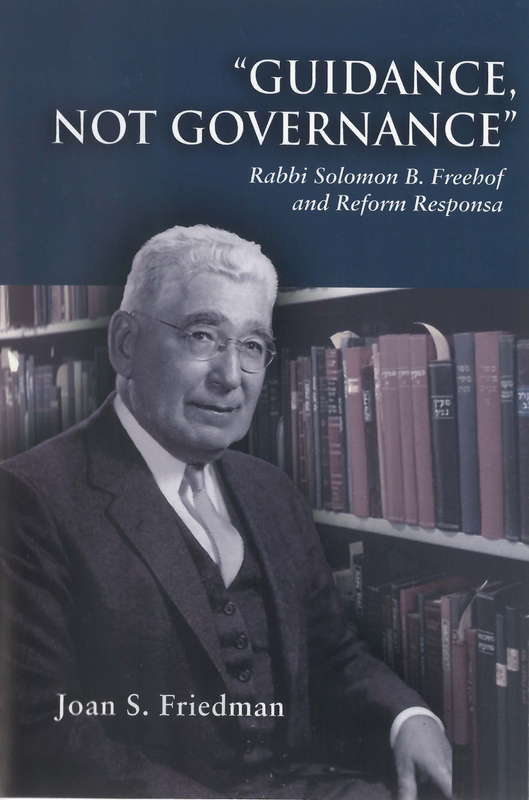 “Guidance, Not Governance” details the career of Solomon Bennett Freehof (1892-1990), one of America’s most distinguished, influential, and beloved rabbis. Ordained at Hebrew Union College in 1915, he was of the generation of rabbis from east European immigrant backgrounds who moved Reform Judaism away from its classical form toward a renewed appreciation of traditional practices. Freehof himself was less interested in restoring discarded rituals than in demonstrating how the Reform approach to Jewish religious practice was rooted in the Jewish legal tradition (halakhah). Opposed to any attempt to create a code of Reform practice, he nevertheless called for Reform Judaism to turn to the halakhah, not in order to adhere to codified law, but to be guided in ritual and in all areas of life by its values and its ethical insights. For Reform Jews, Jewish law was to offer “guidance, not governance,” and this guidance was to be provided through the writing of responsa, individual rulings based on legal precedent, written by an organized rabbinic authority in response to questions about real-life situations. In this newly-available study, Joan S. Friedman analyzes Freehof’s responsa on a select number of crucial issues that illustrate the evolution of American Reform Judaism and discusses what these responsa say about issues with which the Reform Movement struggled during Freehof’s time and continues to struggle today.